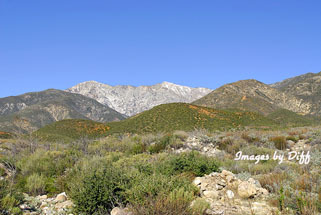 click photo to enlarge The North Etiwanda Preserve is an interpretive hiking trail opened on Oct 3, 2009. On Christmas Day after opening gifts I put a rib roast in the smoker and we went off for a hike. 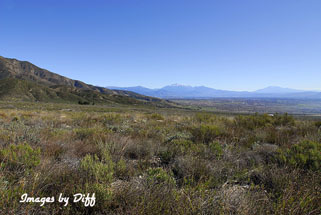 It was a nice day for a hike as temperatures were in the mid 60's. When the kids were little we would go out for a hike on Christmas eve and while we were gone Santa Claus always seemed to come and put presents under the tree. 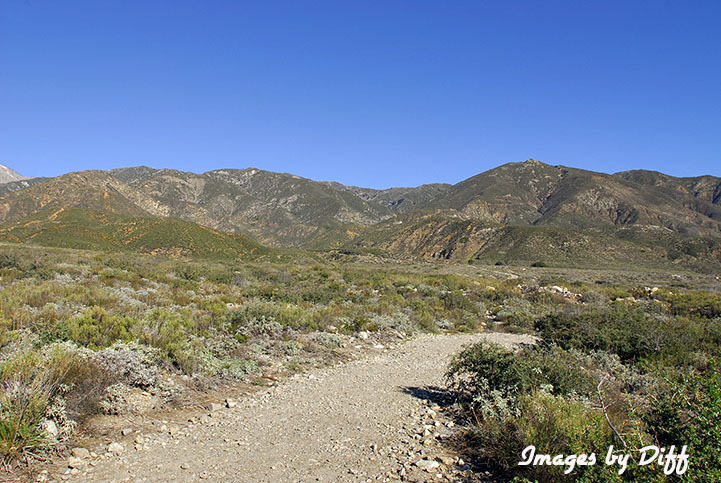 click photo to enlarge The trail is 3.25 miles in length and has points of interest along the way that provide insight into the biology, history, geology and early cultures associated with the Preserve. 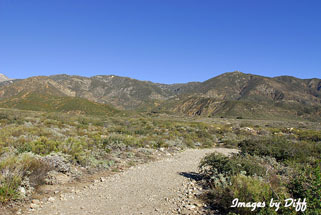 The elevation gain is not too severe like the mountain trails near Baldy. 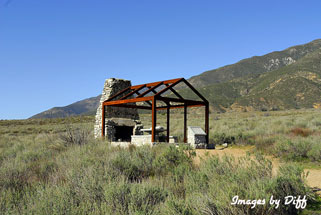 click photo to enlarge This is the ruins of an old settlers cabin. 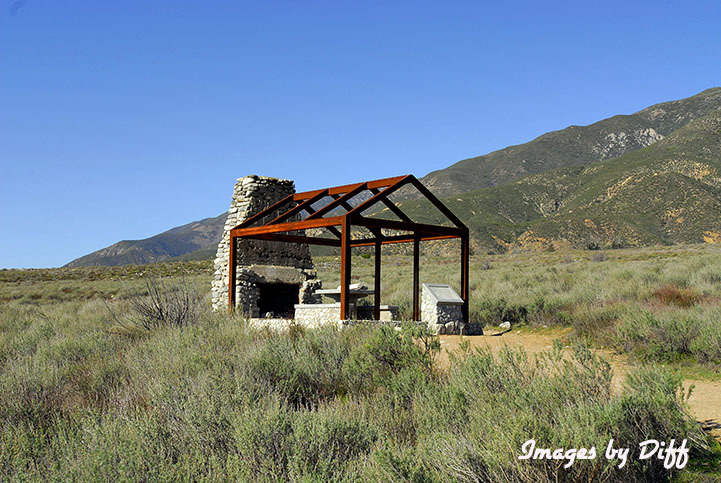 The fire place may be actual but of course the iron was constructed to give you an idea of sizes. 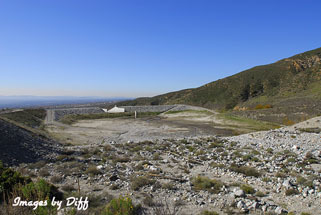 Below left is Day Canyon wash and it's debris basin. Not very big and I wonder of it's usefulness in a large rain event. 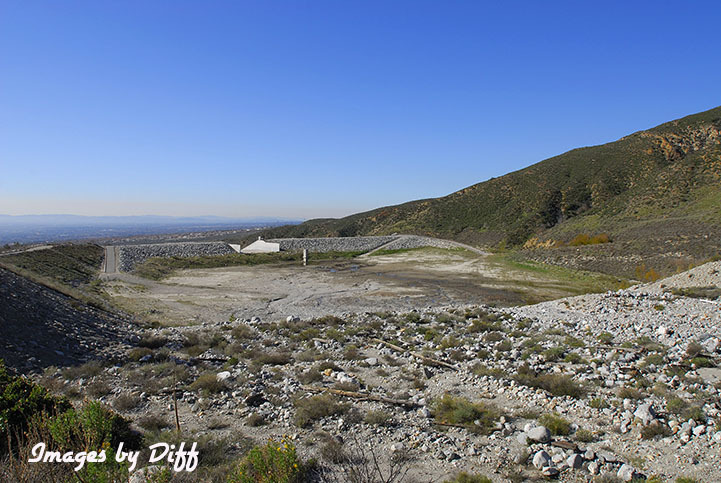 After the next large rain I will have to go hiking to see the water coming down into this basin. Well, when we got home Santa had not come but our dinner was ready in the smoker.